This is one of them few trails within a National Park that are designated for MTB use along with hikers & equestrians. 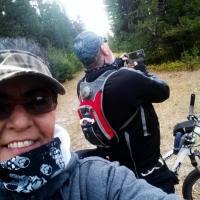 The trail is on an old and overgrown road bed that goes through the forest and eventually leads to a high bluff over-looking the Middle Fork and the North Fork of the Flathead River where an old ranger station once stood. This area and the old Flathead Ranger Station were burned in the summer of 2003 by the Trapper Lake Fire. Other than a 200 yard section around a fallen bridge there is nothing technical about this trail, just a peaceful ride through the burned woods, it is interesting to see the new foliage taking hold here quickly. Great ride for beginners or a family outing while visiting the Park. The trail does continue on past the overlook however becomes very primitive past that point. Review: Nice ride next to the river and through the only trail for biking in Glacier NP. We packed a lunch and ate on a cliff with awesome views. 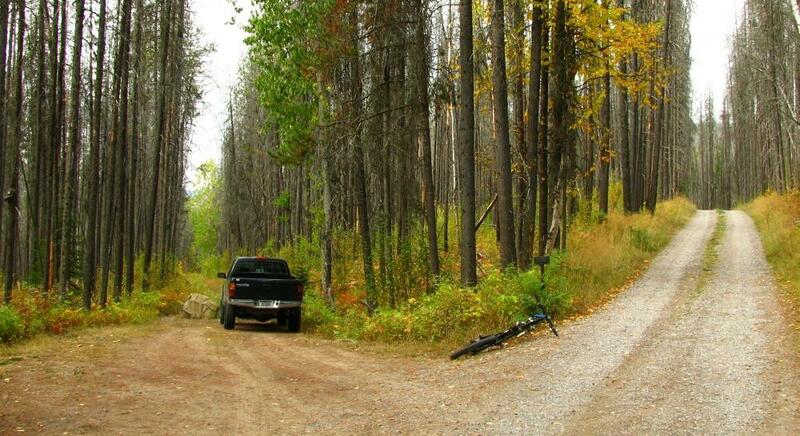 Flathead River Ranger Station MTB Trail 3.00 out of 5 based on 1 ratings. 1 user reviews.